Hi! It's Jilly. 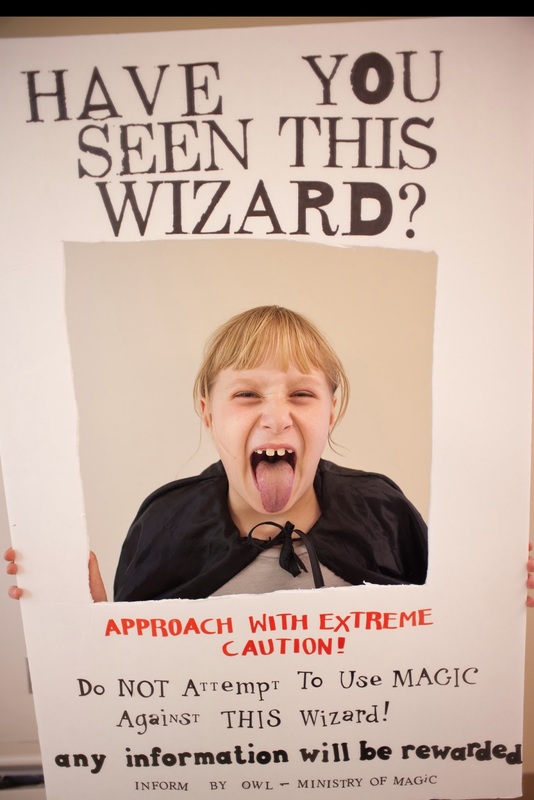 A few weeks ago I threw the kiddos a Harry Potter birthday party. I've shown you the invitations and the Sorting Hat. 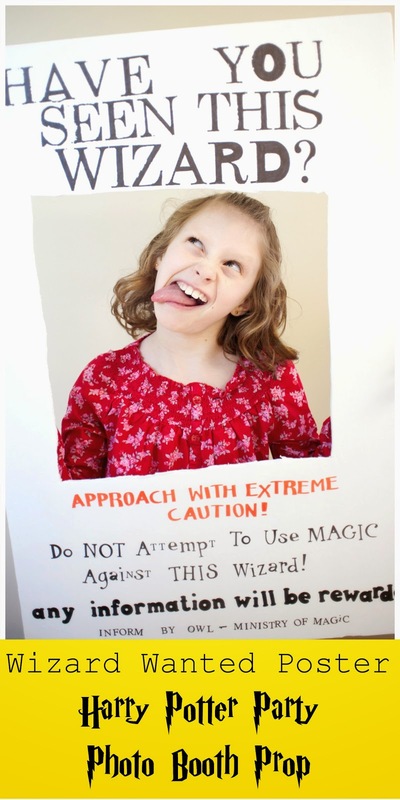 Now it's time to show you our awesome "Wizard Wanted Poster" Photo Booth Prop. I was inspired by the poster I saw at Trains and Tutus. First, I got a piece of white foam core board from Dollar Tree. I used a serrated knife to cut a square out of the middle for the kids' faces. For the words, I originally cut out letters with my friend's Silhouette. But, I think the paper was a little thicker than the setting I put it on, so the letters didn't cut out cleanly. I started freaking out because I'd put off making the poster and it was now the morning of the party! I thought the poster was completely ruined, but then I thought, "Hey! I can cut out the letters with my x-acto knife, then use it as a stencil!". So, that's what I did. I cut out the letters, then used the 'leftover' piece as a stencil and colored the letters in with a Sharpie. All the letters didn't cut out perfectly, but it just gave it a "worn" vibe. The lettering along the bottom is all just letter stickers I had on hand. I like how it looks a little funky due to the different letter stickers, another happy accident. 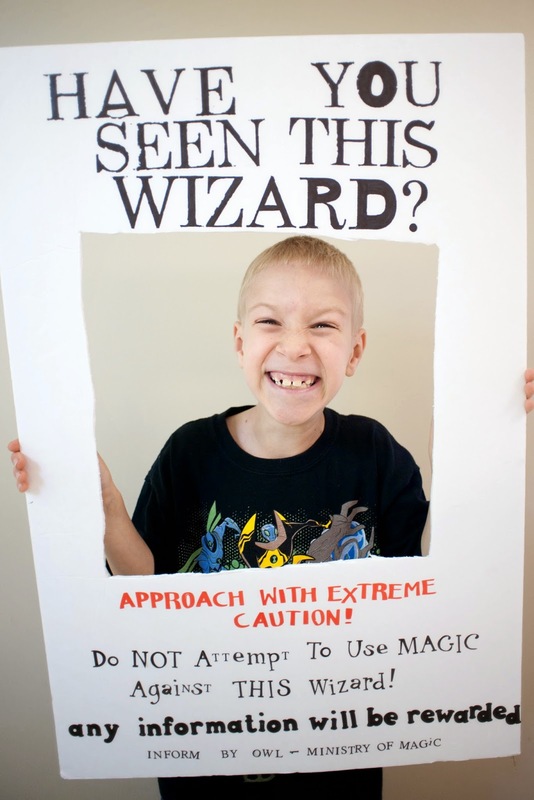 Sometimes things turn out even better than you imagined when you have to improvise! The kids had so much fun with it! It was so funny to see all the faces the kids were making. They were even running around with the poster! It was definitely a big hit, and a fun little touch to the party. 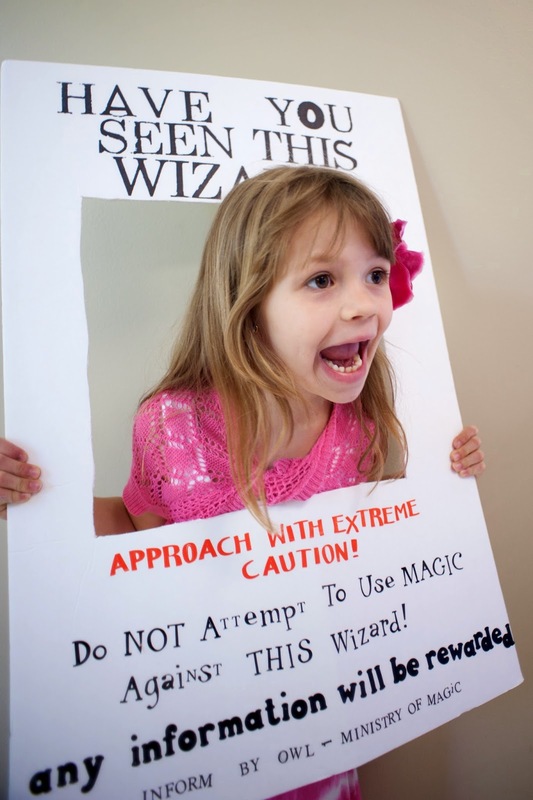 I still need to show you guys the wands I made for the kids and other little details about the party!